Thanks for coming to check out my review of the new Contour+ 2 action camera. In this review, you’ll learn about the new specs, design and features, as well as where to shop online for the best prices. A much-anticipated update from the original Contour+, the new action video Contour+2 still retains the features that made its predecessor a good contender in this market. It is $100 cheaper than the original Contour+, it took down notes from customer feedback and improved its design and software to make the new action cam even more appealing and it now has the ability to take stunning 1080p HD video and share your data everywhere, while using your smartphone as an on/off button or as a viewfinder. Fixing a broken GoPro camera is possible but it really depends on how badly it is damaged. Many users regrettably have to look to buy a new GoPro because they have no time to track down and purchase parts or have time to fix it themselves. However, if you are determined to fix it yourself, here are some options to look at to get your camera back in the action. You get your new Drift HD home and take it out for some action and fun, then disaster strikes. Oh NO! You drop your shiny new camera and the lens shatters and/or it suddenly stops working. What do you do? It depends on how bad the damage is. If it’s a complete write-off, then you’ll probably have to scrap the camera and buy a new one. The good side is that you’ll have twice the number of accessories. 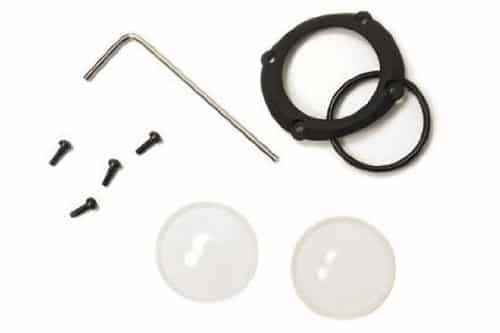 If the lens is broken or badly scratched, then your best option is to get the replacement lens kit for the Drift HD. It’s much cheaper than buying a new camera, and you can do it yourself so no time wasted in sending it back to Drift Innovation to do it for you. If you’re experiencing other problems, then these few hints might help you. Frequent out of focus issues. When the Drift HD camera loses focus, it is usually caused by scratches on the lens. Even a slightly scratched lens can cause the focus to act funny. This can be an annoying problem especially when taking video footage. This problem of scratched lens may be fixed by polishing it with scratch removing polish especially made for camera lenses. But if the damage is too sever, a replacement lens may be the only option. Video mode stops shooting when set in zoom. When the lens is set to zoom, some users usually experience the camera function to stop all of a sudden. This may be due to the shock impact incurred by system functions of the camera after it has fallen onto a hard surface. If your lens is in ok condition, but your camera is not working properly, these tips might help. Do a system reset if the software functions have stopped working or become erratic. The system reset will restore the camera functions back to normal and can clear many problems common with the settings/software. Cleaning the lens area may likewise reduce the problems brought by a broken lens. Through intense cleaning owners will be able to detect the broken parts of the lens, such as scratches and dents. The cleaning process also removes the dirt and dust that cause the view to look annoyingly blurry. Check out a good lens cleaning product here. When the lens shatters or suffers serious scratches, then it is best to get a replacement kit for the Drift HD camera. This is a great feature they included with this model as it is a common problem. Getting a replacement lens kit saves you time and money. You can order a replacement lens kit for the Drift HD via an online store such as Amazon.com who usually offers the best prices. If you have tried resetting it, pulling it apart and wiggling the wires and it still isn’t working, then it might be time to get a new one. Buying a new Drift HD camera proves to be the best option when the unit has incurred serious damage and there seems to be no hope left for it. You could ask Drift Innovations to try to repair it but most times the repair bill will be the same or more than the cost of buying a new one (especially after adding the price of shipping). For Australian customers, click here. Thanks for reading and I hope you can fix your broken Drift HD or if worse comes to worsts, grab a new one so you can keep having fun filming your fun. It’s about time GoPro released a remote control for their camera. After Drift and a handful of new releases have had remote controls included in the standard package, GoPro has caught up by releasing the Wi-Fi Bacpac + Wi-fi Remote. A remote is essential for your GoPro is you want to control your camera and record the action hands-free,so you will surely appreciate the GoPro Wi-Fi BacPac kit. The Drift HD camera is one of the most popular action cameras on the market today. It’s lightweight and small-size makes for a no-holds-barred adventure camera. However, unlike it’s competitors, namely the GoPro Hero 2, it doesn’t come as standard with a suction cup mount. But never fear, there are a couple of affordable and reliable mounts to choose from to keep your Drift Camera secure. Welcome to my my review of the FreeStyle HD 1080p camera from Swann.In this review you’ll learn all you need to know about the camera including the specs, features pros cons, and where to buy for the best price. This page will help you decide if the Swann Freestyle HD 1080p is right for you if you’re thinking of buying one. You could also use these points to compare this action camera with other cameras on the market such as the GoPro 2, Contour Roam or Drift HD. So without any more talk, let’s get into the nitty-gritty of the review. If there are two action cameras that are specially designed for outdoor video that every man and his dog would want, it would be the GoPro 2 and the Drift HD. There is no denying that these two brands go head to head when it comes to providing the best video and photo images for high-action scenes, and interested buyers are usually torn in which one to choose. In this short comparison article, I’m going to cover the pros and cons of both cameras to give you a better idea of the one which is best for you if you’re thinking to buy. Looking To Buy A GoPro HERO 2 In Australia? The Gopro HD HERO 2 is the latest action camera from Gopro and it became an instant hit all around the world. If you are looking to buy a GoPro 2 in Australia, you’ve come to the right place because this article will show you where you can buy one for the best price and get it delivered to your door in a hurry. If you’re in a rush and want to find out now, click here to check out my favourite Australian online GoPro 2 retailer. The Drift HD can capture your thrills in beautiful HD quality so you can relive them over and over. Have you got a Drift HD yet? Thanks and looking forward to seeing your videos of your adrenalin pumping moments. Are you looking for the best place in Australia to buy a Drift HD action camera? Well, you’ve come to the right place because in this quick article, I will let you know the best place to buy a drift HD so you can get your hands on this awesome little camera for the best price and fast, no matter where in Australia you live. If you’re in a hurry, you can click here to check out the latest deals on the Drift HD from Australia’s top online action camera store. 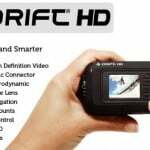 The Drift HD fro m Drift Innovations has to be one of the most sought-after action cameras in Australia. It is up there with its rivals GoPro and Contour but the Drift HD offers many unique features perfect for Australian sports. For one, the Drift HD offers unmatchable high quality, crisp resolution both for images and videos, thus users are able capture even the littlest details in clear view of their fast-paced, high-action scenes. The Drift HD is also very compact, lightweight and easy to use, thus they can be taken anywhere. Because of the small, light body, it can be strapped or mounted on just about anything thanks to the various mounts that come included with the Drift HD (also various other mounts for sale separately). Using the camera anytime is a breeze too, thanks to the remote control that is included in the Drift HD package. While based in the UK, the Drift HD has made its mark in Australia as one of the most reliable and durable cameras for outdoor sports, extreme sports – including all sorts of motor racing, and other tough sports. You may already know a lot about the specs and features of this awesome camera, but if you still want to know more, you can read it all on my Drift HD review. Because of the popularity of this model camera, it is not easy to purchase this brand of camera (and its accessories) in neighborhood camera stores around Australia. Only some specialty camera and sporting stores stock them. Because of this, users and enthusiasts find it better to order their Drift HD camera from online stores instead. Why Buy A Drift HD In Australia Online? You always pay less. It’s a known fact that retail stores in shopping centers and in the suburbs jack up the price to cover their overheads costs. By buying online, you get it cheaper because online stores don’t have those overheads. Get the latest and newest models before anybody else. One of the biggest benefits of buying a Drift HD online is that users can get the latest releases and collections before these ever come to the stores. Interested buyers can make their reservations so that they can receive these models almost the same time that these units are officially released to the market. Various payment options. Online stores accept a wide range of payment options, including credit cards, and even instant payments with PayPal. These allow customers to pay in whatever means they can use, and not go through the hassle of driving to store via a bank or fumbling with cash. Most of the payment systems used by online stores are fast and secure, thus customers can order with assurance and peace of mind. Extremely fast delivery! Ordering from an Australian online store will have your Drift HD camera delivered to your door within 1 or 2 days. You don’t want to order from the USA or the United Kingdom, because obviously it will take a longer time and cost you more in shipping. There are a few different online stores to choose from, but I have found a store that offers extremely competitive prices and offers free Express Post delivery to anywhere in Australia. With every order of a drift HD, you get free express post shipping to your door which means from the time you order, you will have it delivered in 1 to 2 business days at no extra cost. The price is also very reasonable and cheaper than any real-world retail store. The store also stocks accessories and other action cameras apart from the Drift HD so you can package more cameras and accessories together to get it all delivered at the same time. Other accessories to keep in mind are extra batteries and memory cards. Also think about the mounts you’re going to need before you check out. Aside from the wide range of camera and accessories collections, this site also offer expert advice on using the Drift HD; through these articles and tips, you can learn to maximize the features found on their cameras. Thanks and I hope this article helped you find the best place to buy a Drift HD in Australia. Enjoy your new camera!